This is beautiful Annette! 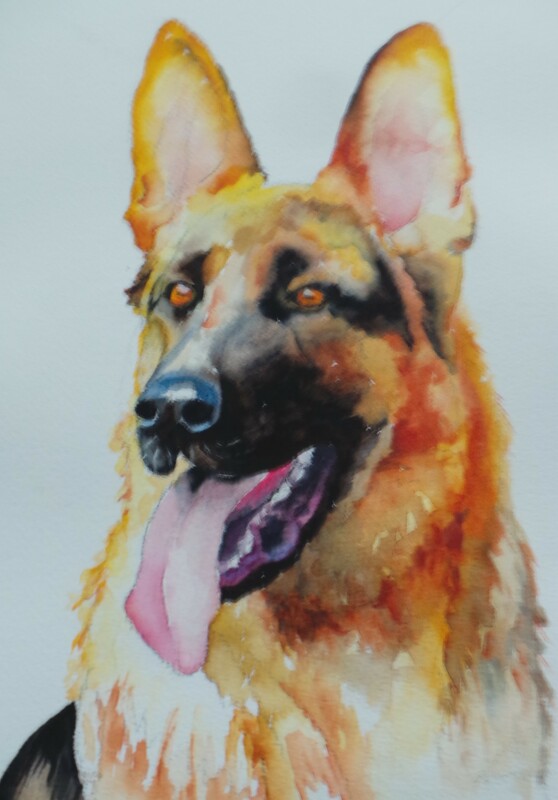 Love the way you rendered the tongue. Such a wonderful dog!! Thanks for the kind comments – I was a bit afraid of doing a tongue – but decided to jump right in – and do it. The gums were a bigger challenge for me than the tongue. – Just to get the teeth, purples, etc – anyway – I was happy with the way it all turned out. Thanks again for your support and feature of my work!! Well, jump in – the water’s fine!! Annette, this one blows me away. it’s SO Darn good! love it. Good luck on the show!